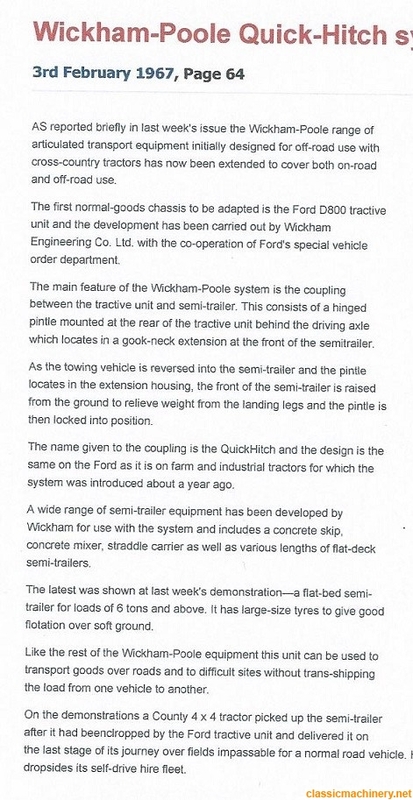 Does anyone have any information on the Wickham-Poole trailer system. I have got a bot of info off google and Flickr, but I believe brochures were published on the system and various trailers available. Would anyone have such information? Seen plenty of Shawnee-Poole stuff , any pics of the Wickham-Poole trailer you can post ? XS650 wrote: Seen plenty of Shawnee-Poole stuff , any pics of the Wickham-Poole trailer you can post ? Hi Craig, how are you keeping? Here's the only pic. I have of a Wickham-Poole. The County Tractors dvd has clips of tippers and bolster pipe trailers - I couldn't say which were Shawnee or Wickham. There used to be two of the bolster trailers in a field near Godalming. Probably gone now though. I'm very good thanks Fred. Put Wickham-Poole into Google and select images, a good few come up. Also search Wickham-Poole in Flickr. 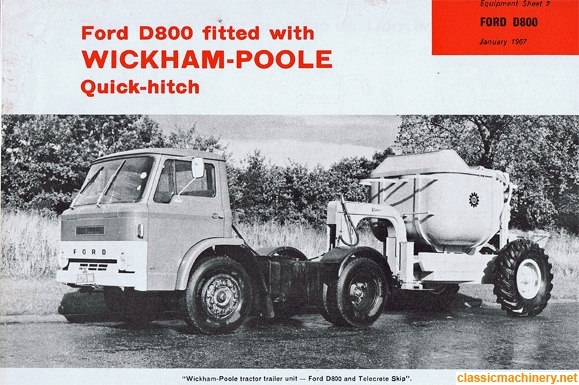 I did hear/read somewhere that Shawnee-Poole dumpers were more or less permanently connected to the tractor, whereas Wickham-Poole was a quick hitch system, but then there looks to be Shawnee-Poole dumpers in use with the Wickham-Poole system. Any idea of the location of those Bolster trailers, trying to get some dimensions of them? This article from Commercial Motor Feb 1967 answers some of your questions.